As you probably know, I am a backup maniac. I have multiple physical and online backups of all my data, particulary of all my photos and camera clips. And I also use Flickr service to backup all of them and share some of them too. So what happened let me decide about a lot of issues regarding my photos’ management. Recently I had turned 35 years old, and for my birthday I made to myself an important gift: a Canon Eos 550D. Thanks to 550D photos’ resolution and size, and of Flickr Exif Page, I discovered that all vertical oriented photos of my collection have been modified with quality loss by iPhoto, also photos from the past, and I have uploaded to flickr not the originals but the modified ones. Moreover, now that I shot about one thousand photos for each month, iPhoto library was increasing in dimension very much because of a main big database file. And everytime I modify, add or delete a photo, an album, an event or simply I change something inside iPhoto management, iPhoto rebuilds this file. And this file takes a lot of time to be backed up online with Memopal because was around 10Gb the last time. It was a long time I was looking for Color Accent software because all the Canon cameras I got, don’t have Color Accent feature. Today I found it, but it is for windows users only. I hope to find something similar for Mac. Before this tool, I used to apply black and white to the whole photo, and used redo brush to get back colors on the portion selected. I will continue to use that method only for multicolor subjects, but for one color or color range it is faster the tool below. Install Paint.Net and this set of filter from Kris Vandermotten in which you can find Color Accent. Just use the tool “Pick a Color” and apply the effect “Color Accent” pressing the arrow button or adjusting levels manually. I have uploaded some samples on flickr (look at the window on the right) and I’m sure I will use this tool a lot. 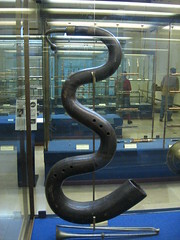 I am delighted to let you know that my photo of a vintage musical instrument, exposed at Sforza Castle Museum in Milan (Italy), has been selected for inclusion in the cultural site AboutMilan. Here is the original message. Iniziamo col presentarci. Sono Diletta e ti scrivo per conto di un’agenzia che si occupa di servizi on-line. Fra i tanti servizi di cui ci occupiamo, gestiamo una serie di portali non commerciali sulle maggiori città italiane (www.aboutflorence.com – www.aboutroma.com – www.aboutmilan.com – www.aboutvenice.org – www.aboutversilia.com – www.aboutturin.com). Curiamo anche un blog (http://newsblog.aboutitaly.net) dove pubblichiamo degli articoli su eventi culturali e manifestazioni di diverso tipo. 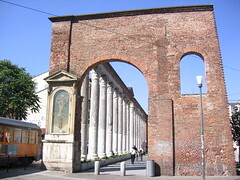 Al momento stiamo aggiornando parte del sito www.aboutmilan.com, e volevamo chiederti se potevamo usare questa foto (http://www.flickr.com/photos/netnemo/3362565014/) sul nostro sito (inserendo ovviamente un link alla tua pagina su flickr). Per questioni di urgenza pubblicheremo la foto inserendo il link, se però tu avessi qualcosa in contrario non esiteremo a cancellarla immediatamente dal sito. Ti ringraziamo in anticipo e ti mandiamo un saluto. I am delighted to let you know that my submitted photo of Columns of S. Lorenzo has been selected for inclusion in the newly released seventh edition of Schmap Milan Guide. Thanks so much for letting us include your photo – please enjoy the guide! 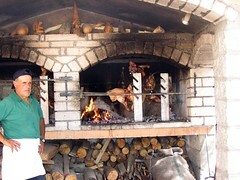 I am delighted to let you know that my photo of a man, cooking a porceddu (piglet) at an Agriturismo in Sardinia, has been selected for inclusion in an article about Agriturismo in Italy written by Patricia Turo. Here is the original message with links changed to the article’s url. I have written an article on this subject and would love to include your photo’s. NowPublic is a news sharing community that uses stories, photos and videos from sources like you. Please note that your photos and videos will always remain your property and you own them fully and outright no matter what. You may decide to change your participation at any time by sending a message to ip@nowpublic.com. If you have any concerns about this, please contact our Quality Assurance Coordinator at quality@nowpublic.com. Assemblea di condominio, si può deliberare due volte sullo stesso ordine del giorno? Chi paga lo spurgo fogna? Il proprietario o l'inquilino? Abbiamo diritto ad avere dal nostro amministratore i dati di tutti i condomini?